Group M, the media investment arm of WPP, forecasts global ad growth of 4.3% in 2018 and predicts Google and Facebook will strengthen their stranglehold on digital advertising. The anticipated ad growth of $23 billion next year will take total spend up to $558 billion and build on a predicted growth of 3.1% this year. 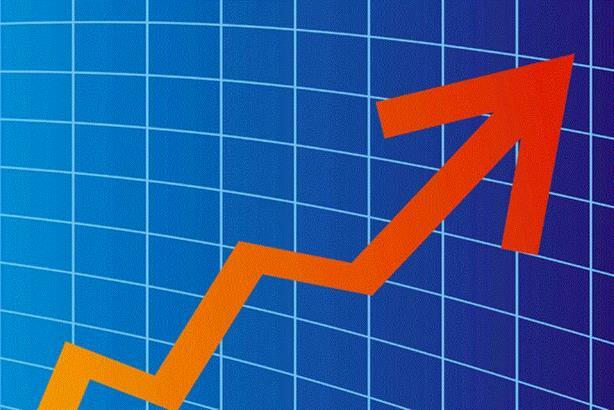 Predicted increases in growth come despite WPP recently revealing its net sales fell 1.1% in the third quarter and the company stating it expected "broadly flat like-for-like revenue and net sales growth" for the full year. Six countries are expected to drive 68% of incremental investment in 2018. These are the U.S., China, Argentina, Japan, India, and the U.K. The U.S. will contribute the largest growth of the six with an extra $6.3 billion of advertising investment, while the U.K. offers the lowest growth of the six with a $1.2 billion increase. A buoyant U.S. market is being driven by falling unemployment, real wage growth of 2.5%, and a 17-year high in consumer confidence. U.K. ad investment is being propelled almost entirely by "pure-play" digital as it reaches a 60% share of a market. Group M believes the U.K. economy is remaining stable but short-term focused with Brexit looming. Continuing urbanization and rising wages in India are supporting strong consumer growth across numerous sectors in the country, while Amazon is now India’s second-biggest advertiser as it goes head-to-head with domestic rival Flipkart. "2017 is a challenging year. Brands are operating in hyper-competitive and low-growth markets, challenged to deliver in the near-term," said Group M global chief executive Kelly Clark. "Legacy media continue to be challenged by audience fragmentation and competition from the dominant digital players, and those giants have grappled with their own far-reaching success as consumers misuse their user-generated platforms." Dominating the digital advertising sector are Google and Facebook, and they are predicted to further consolidate their stranglehold. WPP’s media-investment arm also believes their growth will come at the expense of others, and between them, they will account for 186% of digital ad growth in 2017. Group M states that this "is exceedingly bad news for the balance of the digital publisher ecosystem." Digital publishers have recently been rocked by a slew of bad news, as it was revealed BuzzFeed is cutting jobs after missing revenue forecasts, and Mashable is being sold to Ziff Davis for only one-fifth of its March 2016 valuation. "For every dollar that migrates from legacy to digital media, GroupM estimates 25 cents goes to technology and data," said GroupM futures director Adam Smith. "This is not counted in a now-antiquated concept of working media investment. "We also know that in periods of low inflation, marketing money gets reallocated to promotion; this is a cyclical challenge, not a structural one," he added. Out-of-home is predicted to increase market share to 6.2% in 2017 and 6.3% in 2018 as it becomes more data-informed, digital, and versatile. The market share in 2018 will be the highest it has been since 1993, and apart from digital, the OOH sector is the only medium growing share. Radio’s market share will remain almost flat. It is predicted to move from 4.4% this year to 4.3% next year as it stabilizes due to it being less disrupted and innovating with content and social media.